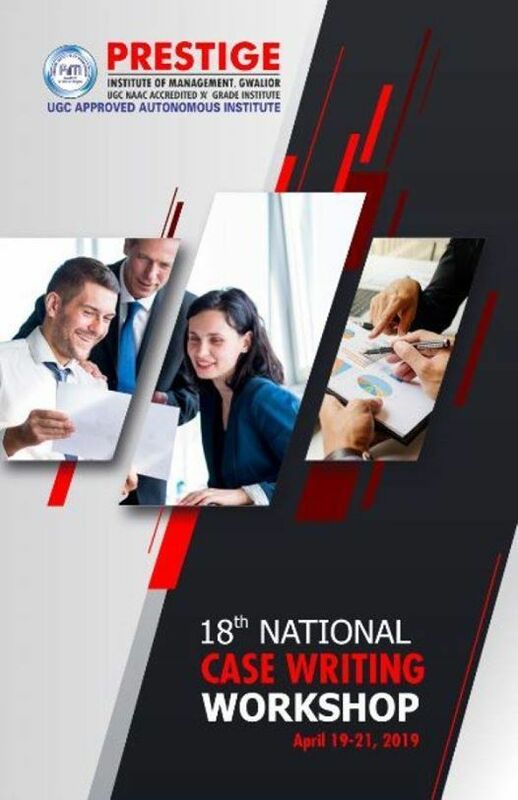 After the remarkable response during the last 17 case writing workshops, Prestige Institute of Management Gwalior is organizing 18th National Case Writing Workshop for the benefit of Faculty members of Management, Commerce, and Economics, Psychology and IT and Executives of Business Organization during April 19, 2019 to April 21, 2019. The cases developed during these workshops are published and made available online by The Case Centre, United Kingdom (Formerly European Case Clearing House). Some of these cases have been used by Management departments of some of the best Universities and renowned B-Schools of the world like University of Florida, USA, Penn State University and Polytechnic Institute of New York University, USA, Iran Khodro Company, Islamic Republic of Iran and Glion Institute of Higher Education, Switzerland., London School of Marketing, UK, ISC Paris, France; University of West Bohemia, Czech Republic;Monday Morning SRL, Italy; Durham University Business School, UK; S P Jain School of Global Management, Singapore; Hoegskolan Boras, Sweden; International Business School, Hungary, McKinsey & Company, USA. The objective of the Workshop is to equip the participants with skills and resources to develop and publish good case studies. After attending the Workshop, participants would be able to design the case problem, analyze a case and develop a teaching note. The participants will also be equipped with the necessary tools and techniques of teaching and discussing a case in classroom. We look forward for your participation in this workshop. We also request you to motivate your colleagues and scholars to attend this workshop and circulate/forward this communication among your colleagues and scholars. Account Name: "Prestige Institute of Management, Gwalior - Conference Account"